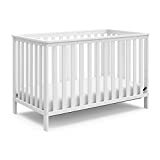 The Gradient Crib by Nursery Works is a fresh, modern alternative to one-note, run of the mill baby cribs. 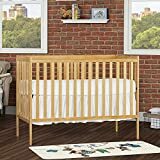 Made in the U.S.A., the crib is made from asymmetrical slats of solid maple wood. From the baby's perspective, it looks like your typical crib (prison? ), but the sight from outside the joint is that of shaped, continuously undulating waves. 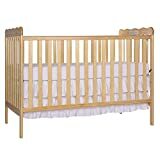 Besides being beautifully functional art, the crib is quite practical as it can be converted to a bassinet. Time to have a baby, maybe?